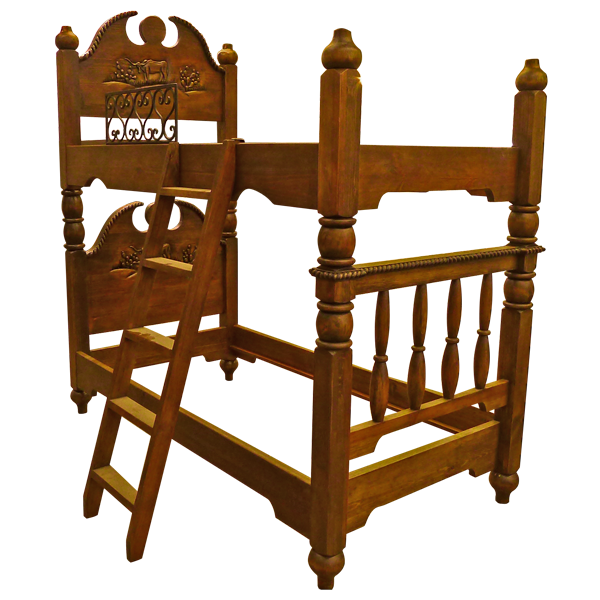 This gorgeous, handcrafted, Western style bunk bed is perfect for when the grandkids visit for the weekend. The lower bunk´s headboard has a centered, colonial style, circular crest, with curved sides. Elegant, hand carved, twist rope designs adorn the curved sides. 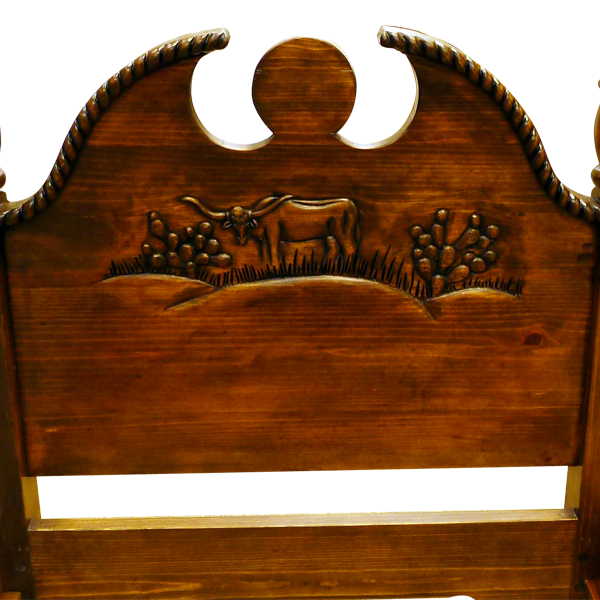 Centered in the front of the headboard is a Longhorn bull with hand carved cactuses on each side. The lower headboard has solid wood, side uprights, accented with hand turned details. The rectangular, framed footboard on the lower bunk is built with graceful, hand turned, solid wood spindles. The top of the footboard is enhanced with a hand carved, twist rope design. 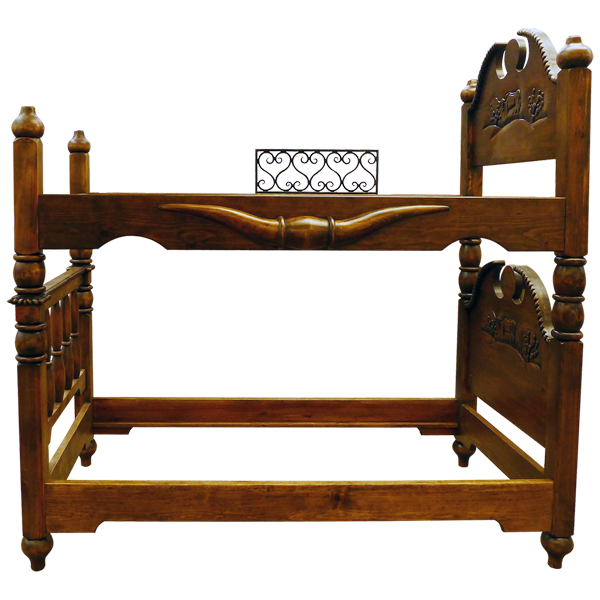 The footboard is framed with solid wood uprights, with matching, hand turned details. The headboard on the upper bunk is built in the exact design as the lower headboard. The upper bunk is built without a footboard, and each of the four, side uprights end in hand turned, irregular spheres. The bunk bed is accompanied with an elegant, solid wood ladder, and the side of the top bunk has an ornamental, hand forged, iron side rail for security. The bed rest on hand turned, tapered feet, and it has a classic finish. It is made with the best, sustainable, solid wood available, and it is 100% customizable.